Why has average age of first marriage increased? In US, the average age for first marriage among men was 22.8, and among women was 20.3 years in 1960. In 2007 the average aged increased to 27.5 and 25.9 respectively. This trend is consistent in developed and rapidly developing societies. Why are people waiting longer to get married? A few decades back, a high school diploma would assure you a bank teller's job, and ensure a steady income till you retired. Men and Women joined the workforce relatively early. With rising income, and accessibility to higher education, labour markets have become more competitive. Educational qualification and grades have an increasingly greater impact on career success now. Thus opportunity cost of marrying young has increased. Early marriage makes it harder to pursue college degrees. Also, people hope to marry someone prosperous, information of which is not available as soon it used to. For instance, a bank teller then had a well defined career track. Start working in late teens and progressive advance his career. However, now someone who does an MBA in his late 20s can expect to earn 20-30% higher than his peers. Traditionally, one of the perceived benefits of marrying early was to pair up with an attractive partner before all the good ones are claimed. With higher income, education and mobility, the supply of potential suitors at a later age has also increased. So the opportunity cost of passing on an attractive partner early, is no longer that high. Another perceived benefit of marrying early is ability to raise kids when at least one the parent is healthy and physically fit. However, with modern medicine, health care, longevity and child care, even these benefits have diminished. To sum up, the opportunity cost of early marriage has been rising, while the potential benefits have been steadily falling. Thus, our cost-benefit reasoning supports the increasing average age of first marriage. Why is milk sold in rectangular cartons and soft drinks in round cans? If you walk into your favorite supermarket or grocer, you would immediately notice milk is most often sold in rectangular cartons. Right around the next aisle your favorite soda is sold in a variety of forms and sizes. Curved bottles and cans being the more popular forms. Why isn't milk sold in cans or soda in cartons? Here is what I think. Product design choices are made by manufacturers on a simple economic concept of Cost and Benefit. The argument arises from the fact that for a given surface area, circular cans waste 20-30% of space compared to cartons. Which effective means for every 100 cartons I store in a warehouse or a shelf, I can only store 70 cans of the same total volume. Warehousing, storage, transportation and store shelf spaces are expensive. Thus purely from a cost perspective, cartons are more effecient. Soda is generally consumed right from the can or bottle. The most common consumption happens outside your home - on the move, picnics, parties etc. Producers know that the general consumer values convenience. The shape of the container makes for easier grip (bottles) or easier consumption and disposal (cans). Thus, if the producer incurs additional cost in providing these product features but creates a better experience for his consumers, his product selection would be to maximize the consumer's value. This in turn would drive up sales and his profits. 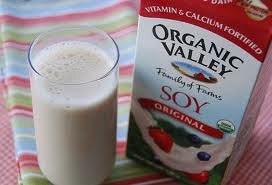 Milk is generally consumed at home and generally poured into a glass, than consumed directly off the carton. Also, unlike soda, fresh milk needs to be refrigerated, which increases the total distribution cost. Thus milk suppliers choose the most space effecient design which minimizes cost without sacrificing the consumer's value. With an increasing competition in the soda space, packaging also creates a strong brand recognition and indirectly facilitates consumer loyalty. Be it Coca Cola's distinct curved bottles or Pepsi's easy grip bottles. Cans, however have remained similar over time.